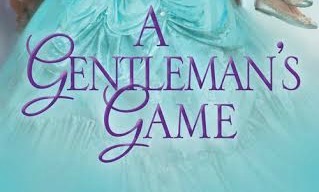 I’m so glad readers are getting their hands on A Gentleman’s Game, the first novel in my Romance of the Turf trilogy. This Regency horse-racing trilogy is my first new series since 2013, and it was a real treat to visit a different slice of history. No more spreadsheets (temporarily). After writing a trilogy and a quartet, I was tracking and juggling a huge number of details. What color were that marquess’s eyes again? If heroine x was on the road on y date, what was hero z doing? With a new series, I can let my imagination run wild. Different eye colors for everyone! Characters out on the road! It’s all good! I’ll be singing a different tune later in the series, as I have a new batch of details to track, but for now, it’s blessed freedom. Characters I’ve never written before. Series tend to be about connected characters, usually all of whom are introduced in the first book. 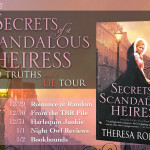 In the Romance of the Turf series, I wanted to tell the kinds of stories I’d never taken on before as a writer. Non-noble Regency characters, the working class, heroes and heroines who are parents, jilted bridegrooms…they’re all fair game. Historical research! I mentioned character types I’d never written before, but I never want my characters to feel like types. They all have strengths and weaknesses, problems and flaws and loves and dislikes. I often get to know a character by asking “What if…” and then falling down a research rabbit hole. This kind of “what if…” inspired the character of Sir William Chandler, the patriarch of the family at the heart of the Romance of the Turf series. Robust and forceful, he was partially paralyzed ten years before the trilogy begins. As a trainer and breeder of racehorses, his life is irrevocably altered. But in what way? What conditions or injuries would Regency-era medicine have been able to treat? How would Regency technology allow him to adapt his surroundings? I hope I’ve answered these questions in readers’ minds—and yes, Sir William is still (and always) robust and forceful. Fun with settings. Setting my stories in different places gives me new ideas as a writer. The Newmarket setting of The Sport of Baronets (the Romance of the Turf prequel novella) inspired a plot as fast-paced and high-stakes as the race that serves as its climax. Other books in the trilogy trace a road trip south through much of England, or a path through England and Wales to a troubled Irish manor. If it’s a setting I haven’t written before, I’m sure to learn a lot as I write. A chance to connect with readers. This might just be my favorite of all: when the book is done and in readers’ hands. Every reader responds to different types of characters and stories. Each new series, with its new characters and setting, is a chance to—in Regency parlance—make the acquaintance of someone who might be looking for just that kind of book. As a reader, what are your favorite things about beginning a new series? I’d love to know about that, or get recommendations for some of your must-read romance series. Talented but troubled, the Chandler family seems cursed by bad luck—and so Nathaniel Chandler has learned to trade on his charm. He can broker a deal with anyone from a turf-mad English noble to an Irish horse breeder. 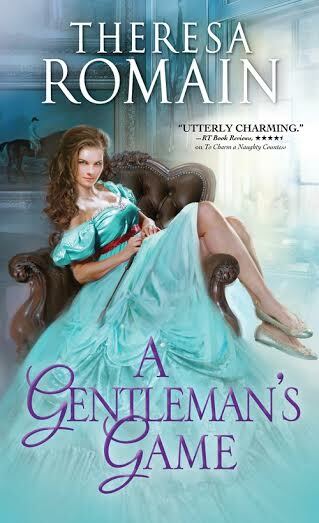 But Nathaniel’s skills are tested when his stable of trained Thoroughbreds become suspiciously ill just before the Epsom Derby, and he begins to suspect his father’s new secretary is not as innocent as she seems. Giveaway Ends 2..12.16 and open to all who can legally enter. That’s quite a variety, Veronika! You must like all kinds of romance. With you series by Jennifer armentrout! Is that New Adult, Tori? I haven’t read much NA, but it’s really popular–I ought to catch up! One of my favorites too, Anne. It’s what really made me fall in love with historical romance. Can’t choose just one. love them all. That’s a new one on me, Christine. Thanks for the recommendation! I don’t usually read romance, but this one looks enticing. Thanks, Ann! Hope you get the chance to check it out. Probably my all-time favorite is Diana Gabaldon’s Outlander series…or Deanna Raybourn’s Julia Grey series….can’t pick just one. Ohhh, I love both of those too! Nancy, have you read Deanna Raybourn’s A Curious Beginning? It’s the first book in a new historical mystery series. Patricia Briggs’ moon called series is good. Something to add to the TBR list. Thanks, Tracee! I have too many favorites to pick one! I don’t know that I can make a choice of only one favorite! Some of my favorites are Nalini Singh’s Psy-Changling series, Elizabeth Hoyt’s Maiden Lane series and Monica McCarty’s Highland Guard series. I enjoy many different romance series and one of my favorites is the Maiden Lane Series by Elizabeth Hoyt.